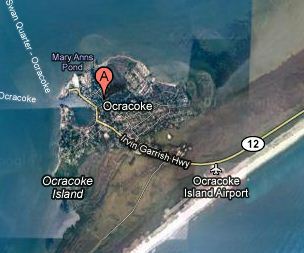 A five-year-old is hospitalized following a shark attack off Ocracoke Island, according to Hyde County authorities. Emergency crews responded to a shark bite call just after 5 p.m. Tuesday. Carter says the five-year-old girl was flown to an area hospital. The patient’s condition and identity are both unknown at this time. OCRACOKE — Officials said a 6-year-old girl was bitten by a shark on the Outer Banks. Just after 5 p.m. Tuesday, rescue workers responded to a call on Ocracoke Island about a shark bite. Witnesses said that they saw what appeared to be a shark attacking a little girl in the South Point area, according to Hyde County Deputy Emergency Services Director Brian Carter. The girl was in shallow water on a boogie board; her father was there as well, officials from the National Park Service said. She was bitten on the lower portion of her right leg and on her foot. The girl was flown via East Care to Pitt County Memorial Hospital. She is in critical condition as of Wednesday morning.The last known shark attack was in 2001 on Cape Hatteras National Seashore near Avon. Hyde County EMS, National Park Service, and Ocracoke Fire Department responded to the call. Ocracoke Island is part of the Cape Hatteras National Seashore. The entire island is owned by the US National Park Service, except for the village. The most common types found close to shore in North Carolina include sandbar, bull, scallop hammerhead and sharpnose sharks, according to the North Carolina Aquariums. The Florida Museum of Natural History keeps an International Shark Attack File, which was last updated in January. It shows 41 unprovoked shark attacks from 1935-2010. I enjoy you because of all of your effort on this website. Debby really loves engaging in research and it is simple to grasp why. We all notice all about the dynamic manner you create both interesting and useful tricks via your website and in addition attract response from others on the concern so our favorite child is being taught a whole lot. Have fun with the rest of the year. You are carrying out a glorious job.